Product code: 1999 Categories: Sold Items, Sold Rolex Watches. 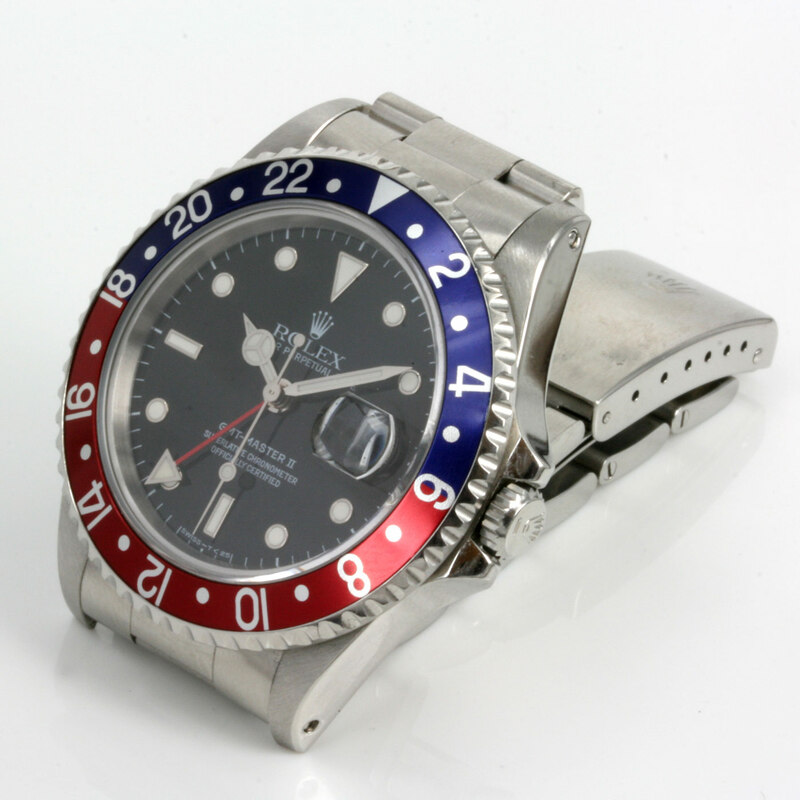 Here is a very collectable and sought after Rolex model, the Rolex GMT Master II with the blue and red “Pepsi” bezel. 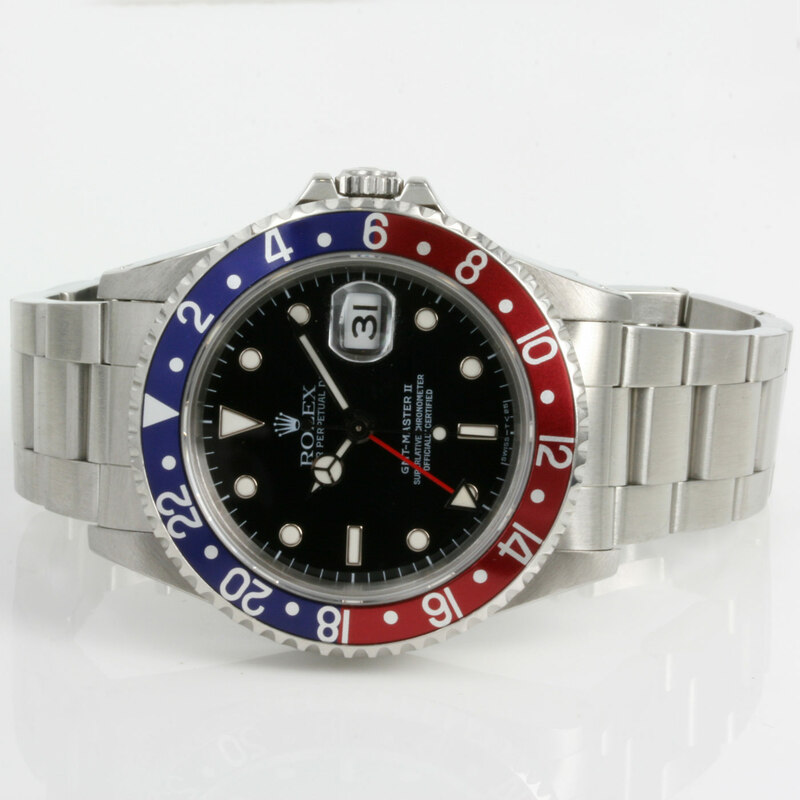 This 2-tone bezel was discontinued by Rolex after 2007 and has since become even more popular and hard to find and this particular Rolex GMT Master II is in superb condition. mistaken for a Rolex Submariner. a Rolex Oyster band which is in excellent condition. Complete with our one year warranty, this is a great looking Rolex watch for any occasion.